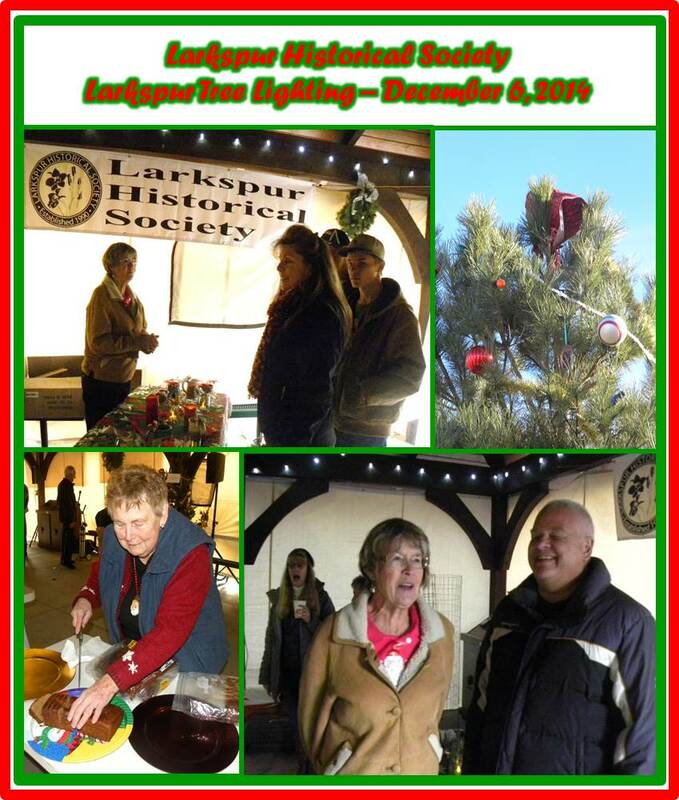 Danna Hamling, Phyllis Bonser, and Debra Lefor, representing the Larkspur Historical Society, assisted in the annual tree lighting ceremony in the Larkspur Community Park. LHS prepared hot apple cider and served it to guests. LHS also sold our “Larkspur” pottery mugs. Danna and Phyllis featured a “buy one, get one free” sale. 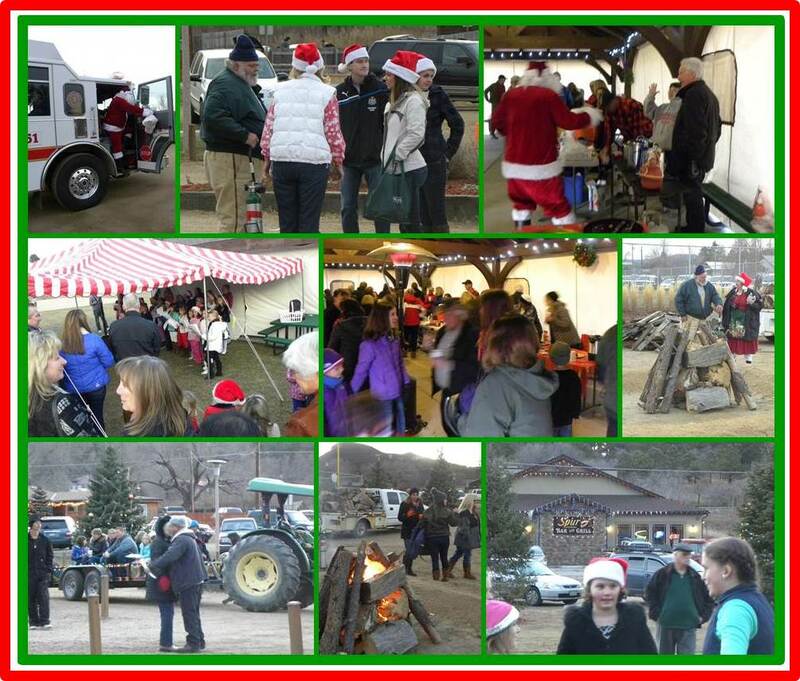 Our mugs sell for $12.00 and we provided a free clear glass coffee mug “Town of Larkspur Annual Christmas Tree Lighting”. Seasonal, festive bows were tied on the handles. Santa and Mrs. Claus were present and in jolly form, the Chamber provides a table for children to make cards for our Military men and women, refreshments served by the Larkspur Volunteer Fire Association and LHS. Third – sixth grade students at Larkspur Elementary School added their sweet voices to the festivities. Danna Hamling, Vice-President of the LHS and representative to the Chamber, performed the duties of lighting the main tree, Girl Scouts lit the other trees simultaneously. A fine evening with guests numbering in the hundreds.